Testimonials from Patients – Read what patients are saying? Read what our customers are saying? My brother who is on dialysis every other day could not even stand on his legs. 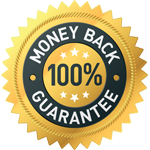 Since he started using Renadyl he is very healthy, walks well, legs look very well in circulation and he is enjoying much much better health. He believes he lives on because of the Renadyl when several of his friends at dialysis have already passed . This product works as stated. What more can one say. 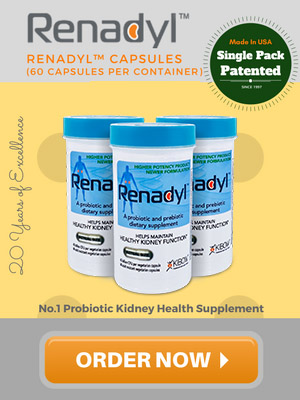 I have been tested several times a year and my doctor can not accept the fact that Renadyl has kept my kidneys working at the same level for over 4 years. MY CKD HAS STABILIZED - I stared taking Renadyl about eight months ago. Before taking it, my kidney function had been rapidly deteriorating with my blood creatinine increasing to 1.9. Since starting Renadyl, my creatinine level has remained at 1.9, so my CKD has stabilized. STILL HOPING - My husband has been very pleased with Renadyl so far. He feels great and did not loose his energy despite his low protein diet. He has to wait another month to find out if his Creatinine has improved. He certainly misses having a good ribeye steak and some oysters. He is still hoping that some day he will be able to do so without causing any further damage to his kidneys. I’ve been using Renadyl for a little over 6 months now and blood levels are within the normal range (creatine levels are down). Even my skin tone is back normal (used to have a yellowish skin tone). Other patients have started using it and their comments are nothing but positive. Thanks to Renadyl we’ve been able to have a better quality of life.